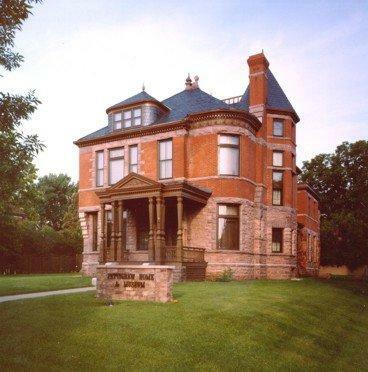 The Pettigrew Home and Museum was built in 1889 by a local Sioux Falls family, the McMartins. South Dakota's first State Senator purchased the home in 1911 as a retirement home. He built a museum on the back of the home in 1923 and when he passed away in 1926 willed the Museum and Home to the City of Sioux Falls. The House is open for guided tours and there are exhibit galleries in the Museum addition.